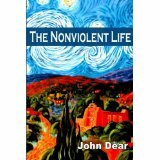 Project Peace will study John Dear’s book The Nonviolent Life during Advent. There will be both a morning and evening group, meeting on Mondays. For details, please call Sr. Paulette at 419-447-1435, Ext. 136. Previous Article not a word about incitement against the Palestinians…..